Buy to win at Aroma! With a great range of pizzas, burgers and bar snacks, there’s now another reason to treat yourself to something from The Lakes Aroma menu! 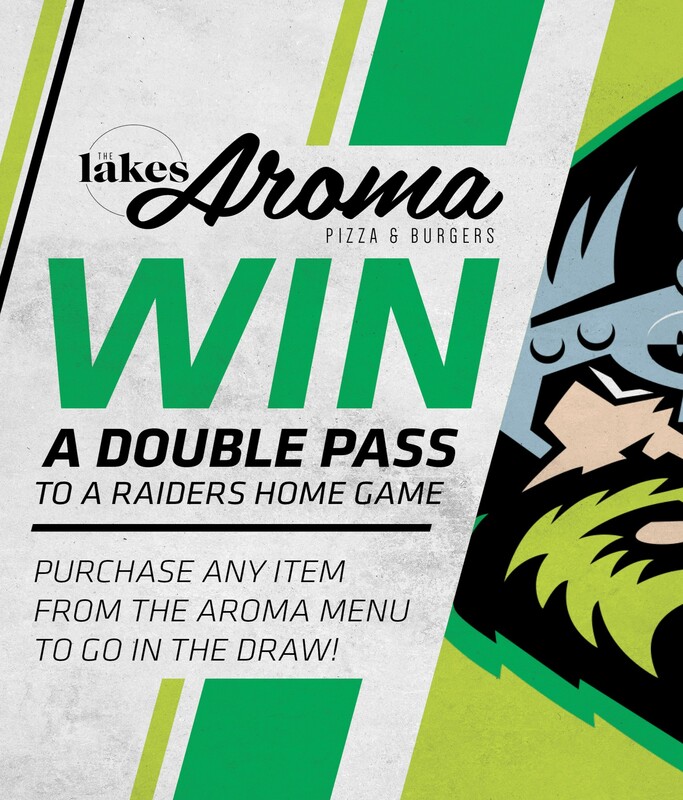 Purchase any item from The Lakes Aroma menu to go in the draw to win a double pass to a Raiders home game of your choice*!